Once turned on in your account you will see a new chat icon in the top right corner of your navigation bar. Click this to open up your chat page. 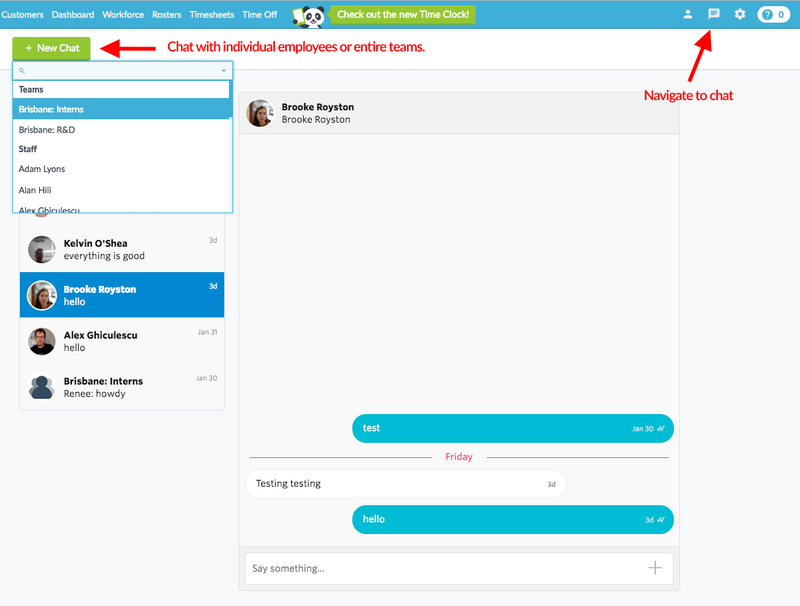 From here you can send messages to individual employees or entire teams. Permissions will work exactly like rosters. So you will only be able to send messages to staff in the teams you manage. Messages will be sent out to staff via email. They can reply directly to the email and the response will show up in the chat window in My Tanda. We have future plans to add messages into the Tanda Mobile App. But for now, they will be sent to staff via email. Use this to send messages out to teams or communicate with other managers about rosters, timesheets etc. You can enable desktop notifications so you never miss a response.